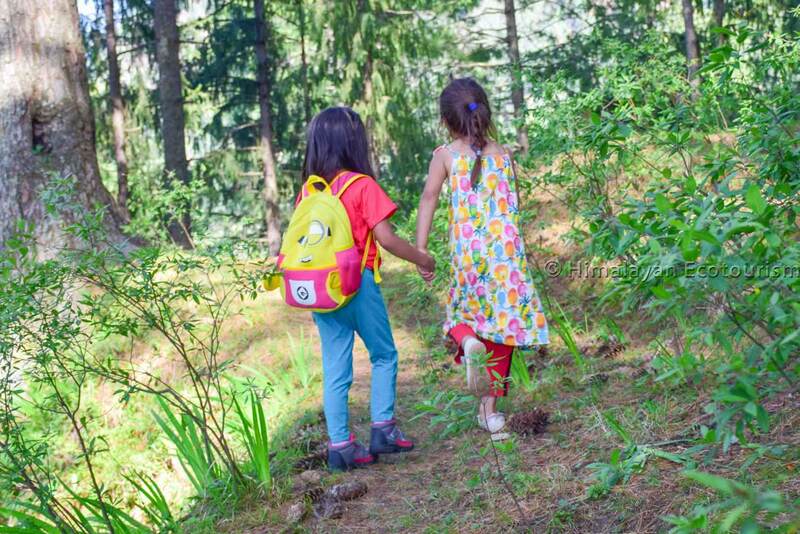 Do you know the concept of "Forest bathing" ? 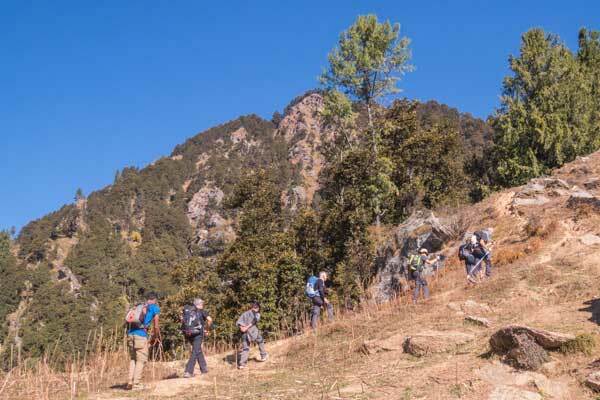 We make it accessible for everyone, not only trekkers ! And we do it at various natural places ! For what and who ? Leaving the everyday stressful context to stay amidst nature brings immense pleasure, and is very beneficial for your mind and body. But you may think that reaching such natural areas, with kids or elders, is not for you ? Think again ! 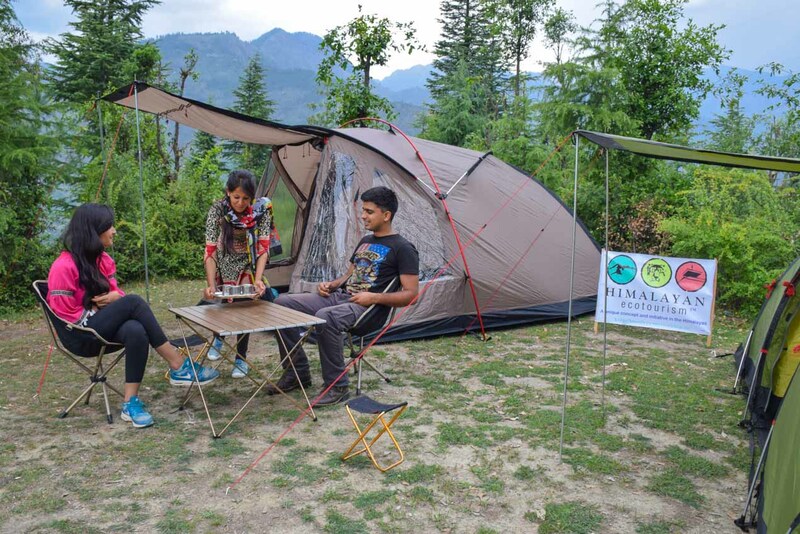 Himalayan Ecotourism offers you a chance to camp in the nature of the Himalayas even when you have less time or lag a bit in physical fitness. For you we have selected the closest natural forested sites. 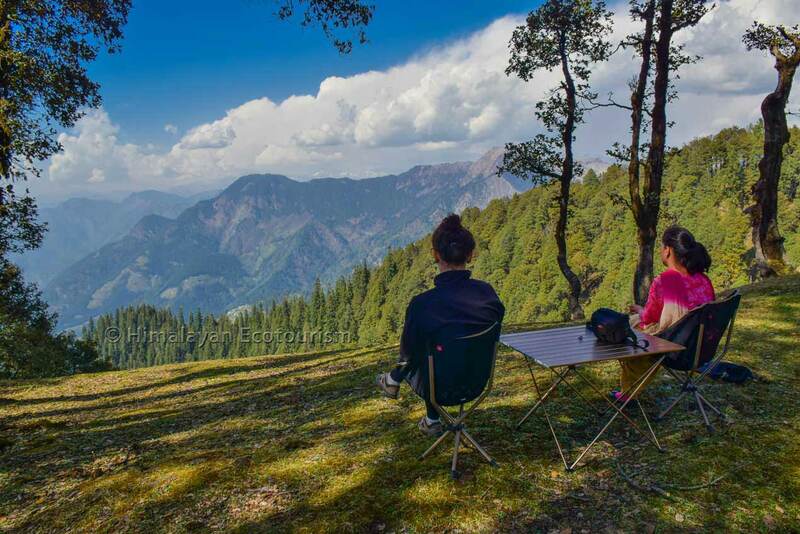 These raw sites will provide your soul a treatment of nature with a wonderful view of Himalayan ranges. We will take you to these places which are 5 minutes to 1 hour walk from the road side. You will be provided with a very helping staff that you have to follow along with your belongings. 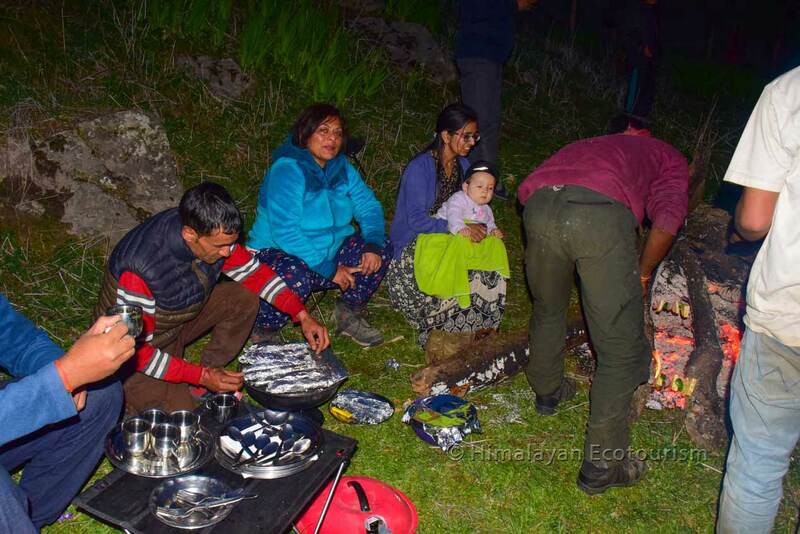 With Himalayan Ecotourism you are provided with the best quality of equipments. 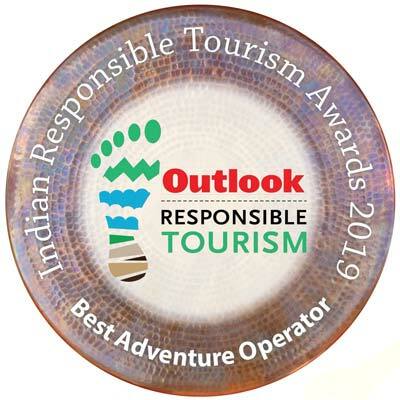 Either you are comfortable with our trekking equipment (no standing-height) or you wish to enjoy the comfort of our deluxe touring equipment (standing-height with a very comfortable bedding). You decide !. 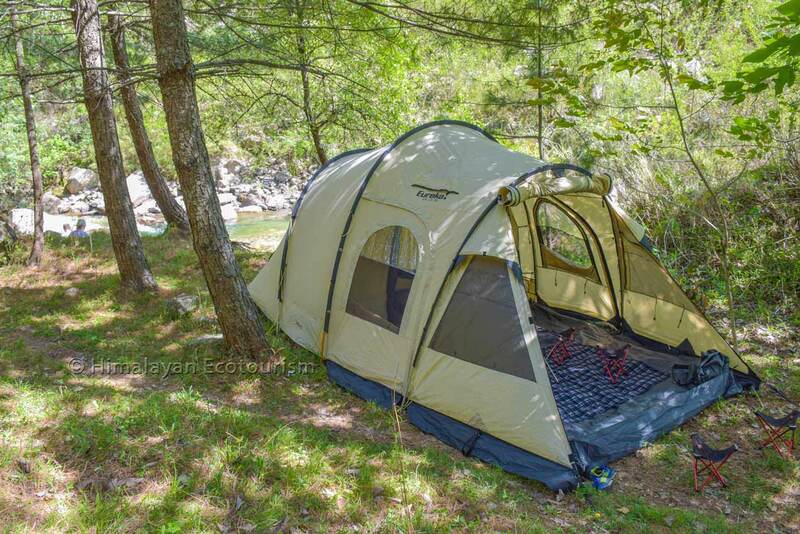 More info about our camping equipments : See here. We can take you to the selected natural spots in a very leisurely way. Hence allowing you to relax and enjoy an amazing feast of wilderness. What could be done ? Feel alive and twinkle with the stars. 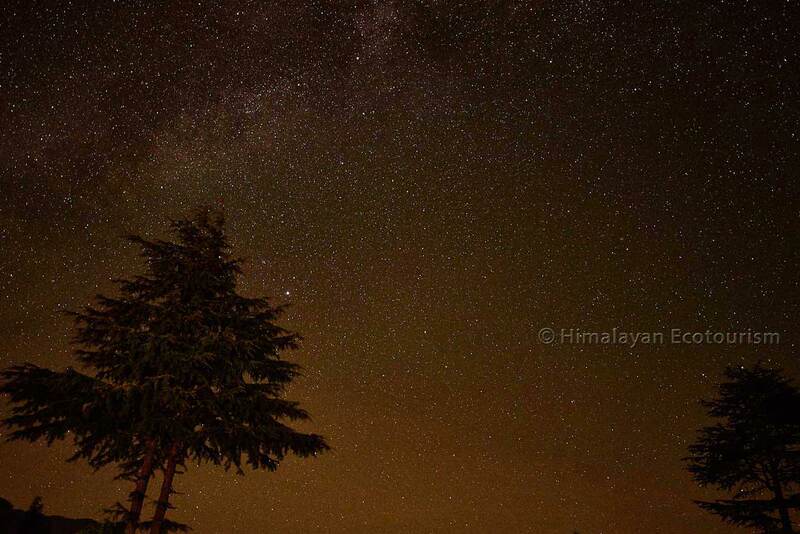 The high altitude of your camp and the absence of city lights provides you with a crystal clear sky. You can identify different constellations, stars, galaxies and planets. And if you get lucky, the star might fall for you too! 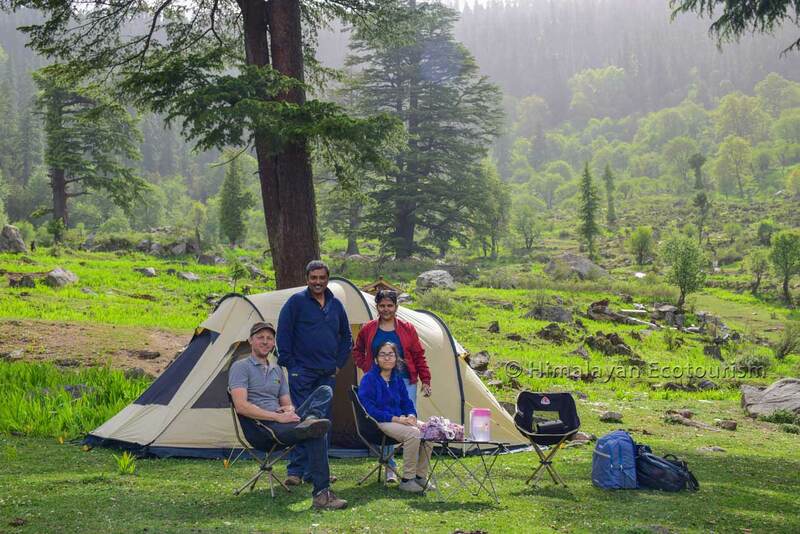 When you want to escape the heat and hectic schedule to enjoy the chilled fresh air amidst nature. 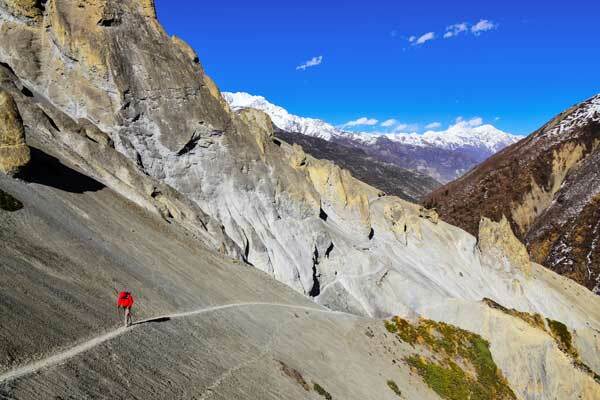 The Himalayan landscapes offers great opportunity for the photographers as it is rich in flora and fauna. The sunrise and sunset, snow covered valleys, misty tress, you will be mesmerized and have good collection of photographs. 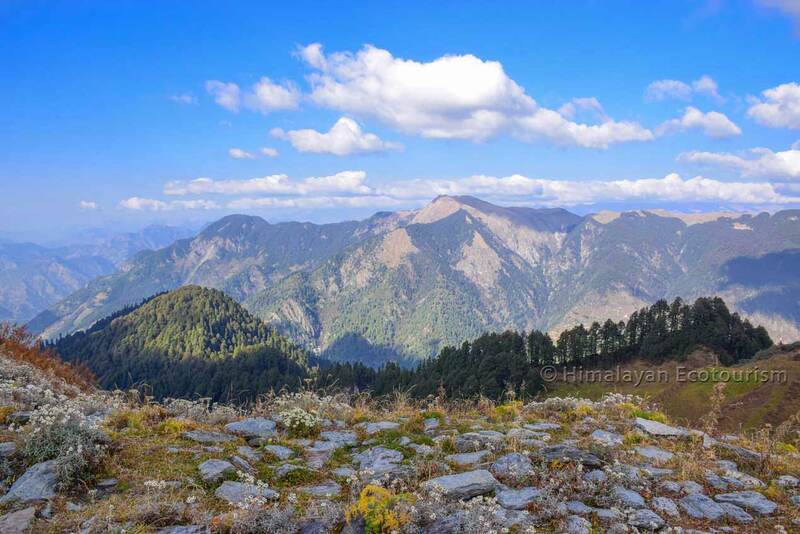 Indian Himalayas has a wide variety of various beautiful and rare birds. 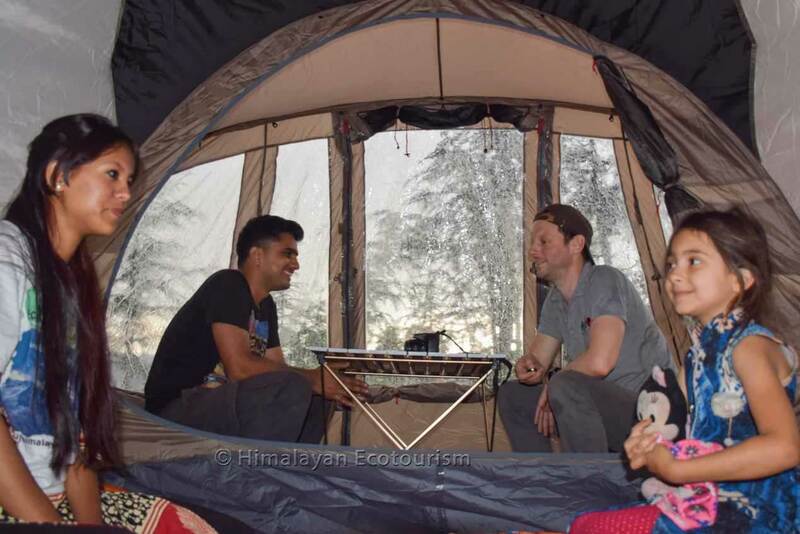 Camping in the wild will definitely help you watch these lovely birds at various time of the day and will help you to know them better and increase your vocabulary about birds. You will have a naturalist guide accompanying you who will provide you the knowledge of the complete surroundings while you are camping. You will definitely discover a lot. 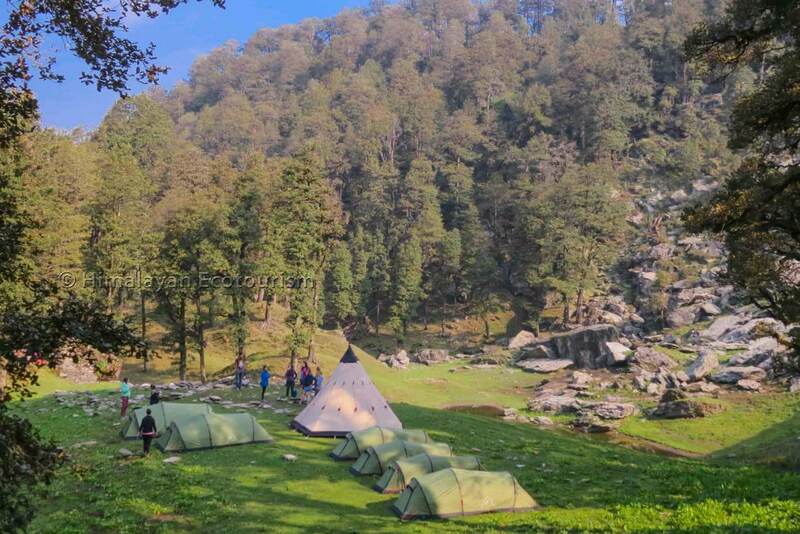 With this package, you can camp without any worries with your kids and make them learn and feel about nature and its beauty. With our team you are in the safest hands. Your safety and comfort are our first priority. When you really want to escape your everyday life and find a refuge in the lap of nature without having walk long distance. 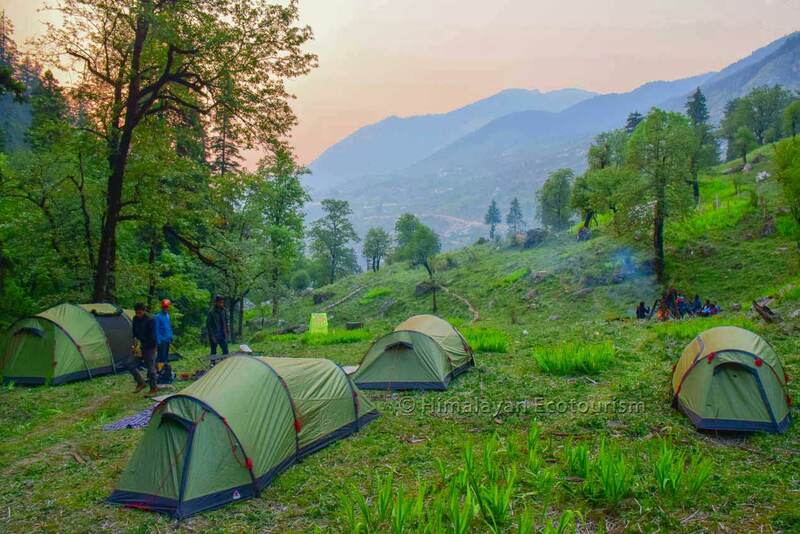 This camping package will be your favorite. Nothing can stop you from being one with nature. Without much of efforts you will get to enjoy the raw wilderness. Fed up of meeting your friends always in the same bar, same environment ? Take them all with you for a great camping experience. Road transportation to the campsite ? You need to reach Gushaini from where you continue on foot. Walking distance to the campsite ? Depending on the campsite you will select. From 5 to 90 min. The campsite that come first is also the easier. It is accessible even for physically challenged persons. 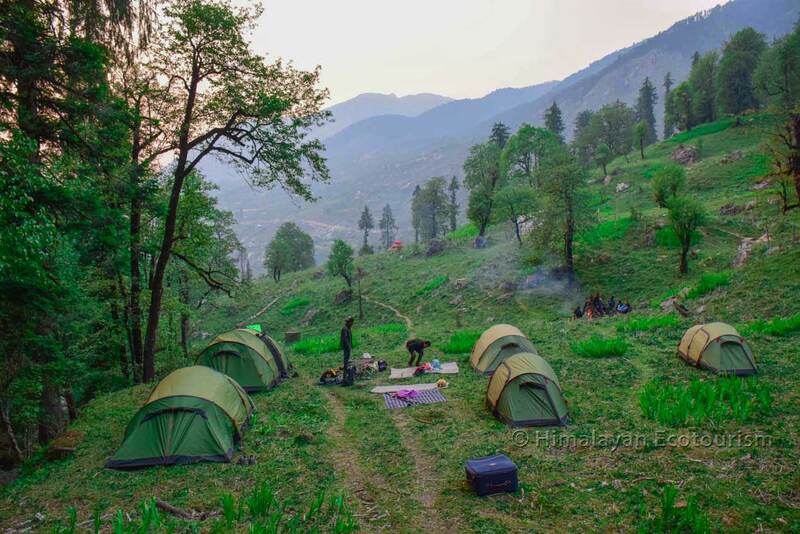 The next nice campsite is around 30 minutes from Gushaini. The trails has gentle slopes, which is OK even if you are not in the best shape. In summer (May, June or even September) the riverside camps may be hot during the day (above 30 degrees). 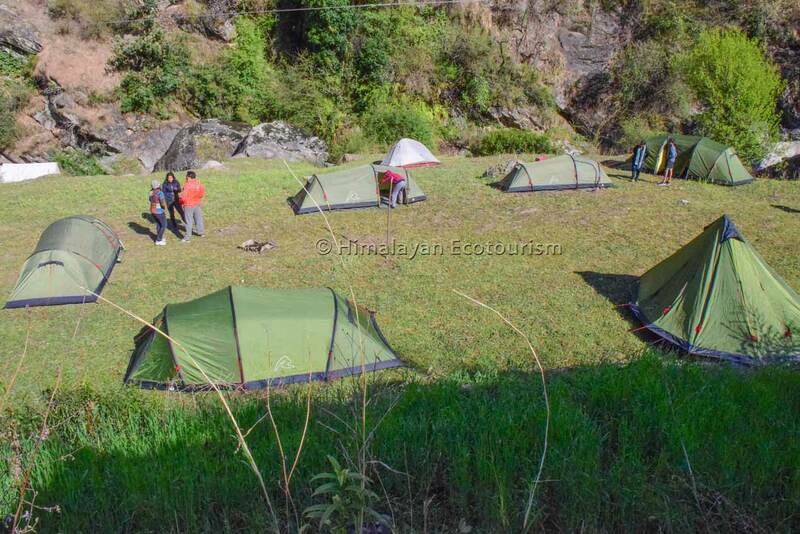 The Tirthan valley becoming popular we may have to share the campsite with other group(s). Some of the lands are private. 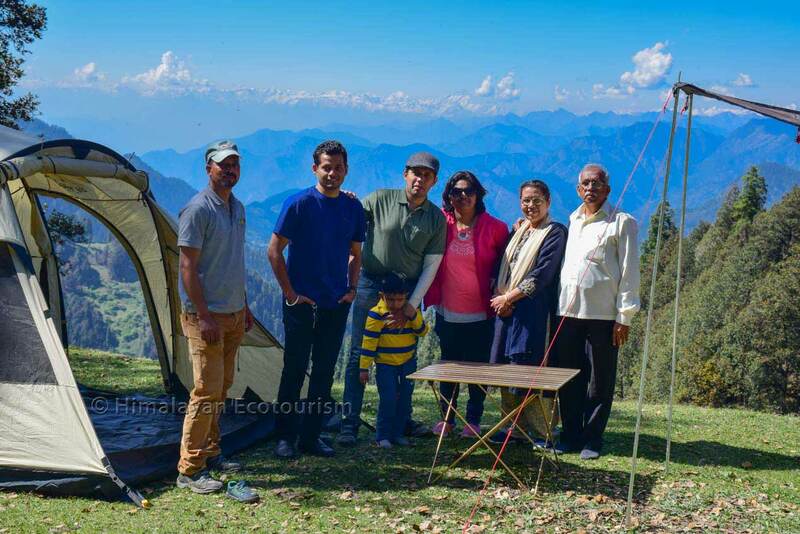 The owners of the land may charge some tent pitching fees (around 200 rs per tent). 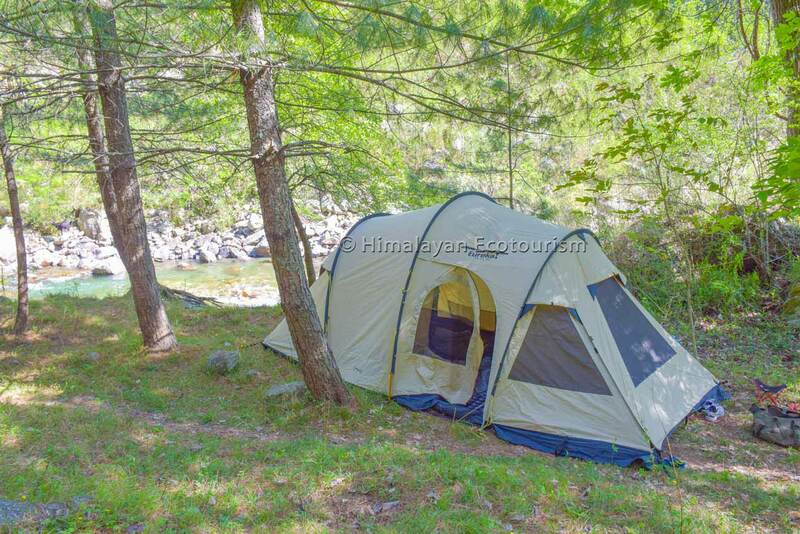 Riverside camping is a great experience for everyone. The camps are between Gushaini and the GHNP gate. You can consider fishing trout. Excellent choice for those who like being close to an Himalayan river. You can leisurely spend your time by the riverside. This is another option for larger groups ! 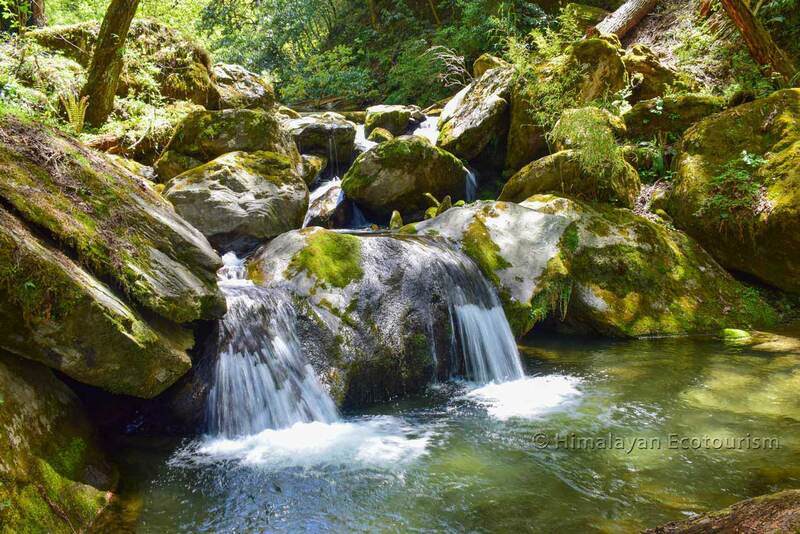 Enjoy the cold water of the Tirthan when the air becomes too hot. 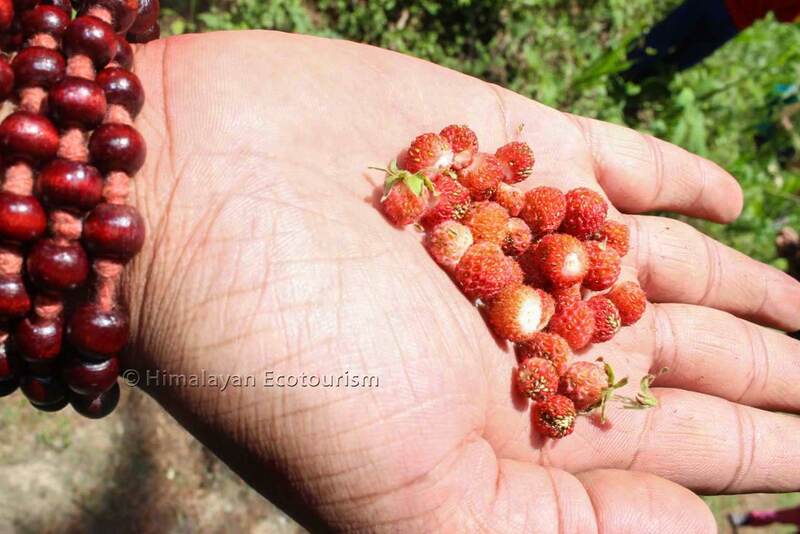 Enjoy the Himalayan Ecotouirsm quality ! We will definitely offer you a life memorable experience ! 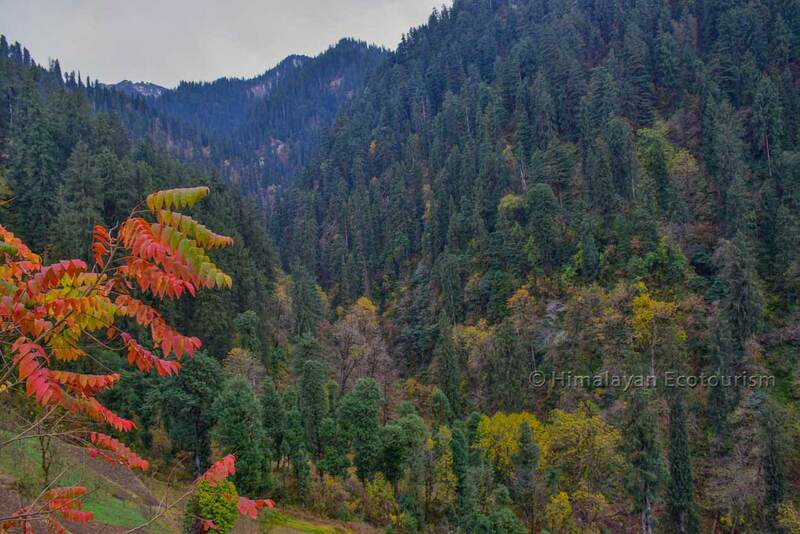 You need to reach Jalori pass. 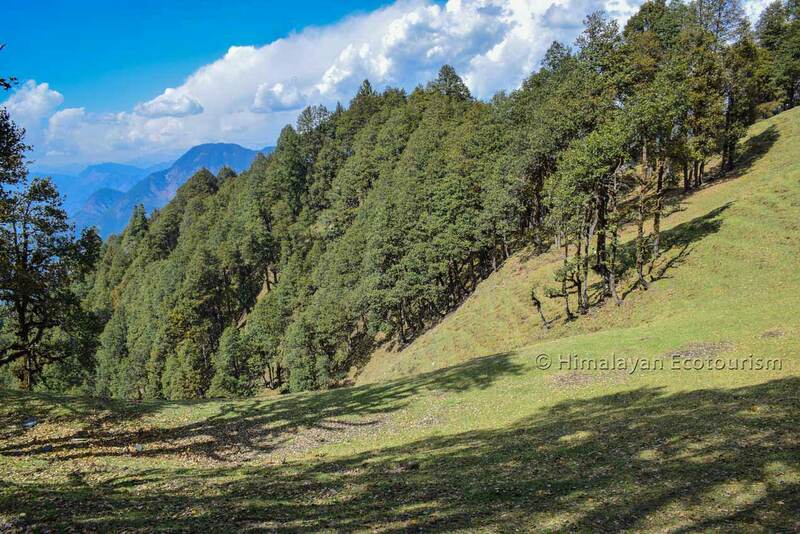 Jalori pass is around one hour drive from Banjar, at 3150 m height. 2 campsites are available. The first one is 10 min walking distance from the road, the next one is 30 min. The campsite that come first is very easy to reach. 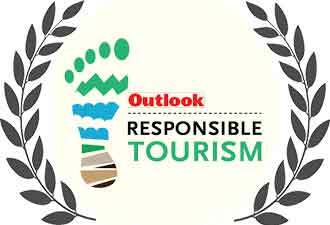 It is accessible even for physically challenged persons with the help of our staff (walk in the forest). The next nice campsite is around 30 minutes from the pass. The trails has gentle slopes, which is OK even if you are not in the best shape. Great view of the Himalayan range ! Cool air even in the middle of the summer. No crowd at the campsite. Can be quite cold in case of bad weather. The location of the campsites makes them exposed to wind. In case of a storm the experience becomes quite adventurous. No sources of water nearby, our staff has to carry the water in jerrycans. Perfect for thoise who are looking for great views and cool air. The higher altitude makes it also more adventurous. First reason for selecting this campsite. 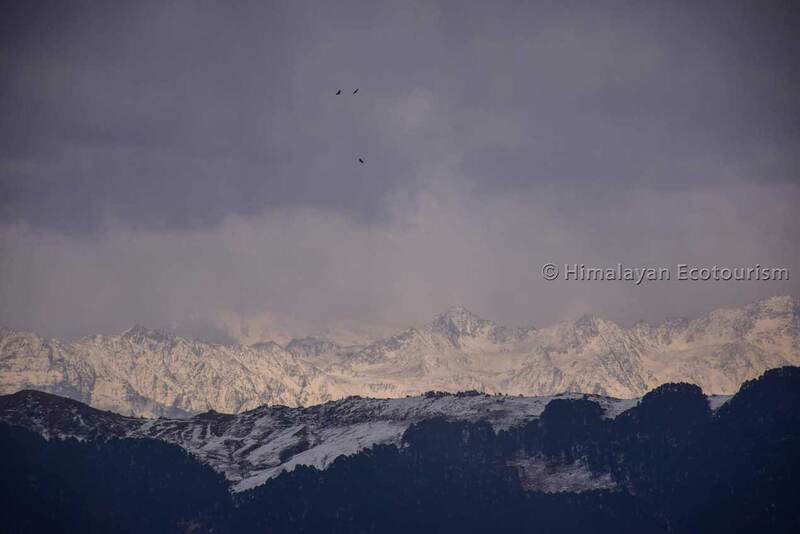 View of the Himalayan range. Enjoy a great biodiversity that will fill your kids with wonder. Another reason for selecting this camp. You are in absolute peace ! An ideal spot for groups up to 8. 20 minutes walking distance only ! We can take anyone on this activity. Kids and elders welcome to the wild ! We will let you know if the campsites are available according to snow conditions. It is located at 40 minutes drive from Banjar. It will take you around 20 minutes. The distance is short but the trail is not easy because of the steepness. Riverside atmosphere under the trees ! Cooler air compared to the Tirthan valley. The forest around is nice but you have a limited view being at the bottom of a steep valley. The path makes it difficult for thoses who are not in the best shape. A secluded spot for a peaceful riverside experience. The campsite is not so easy to reach because of the steep sides of the valley. 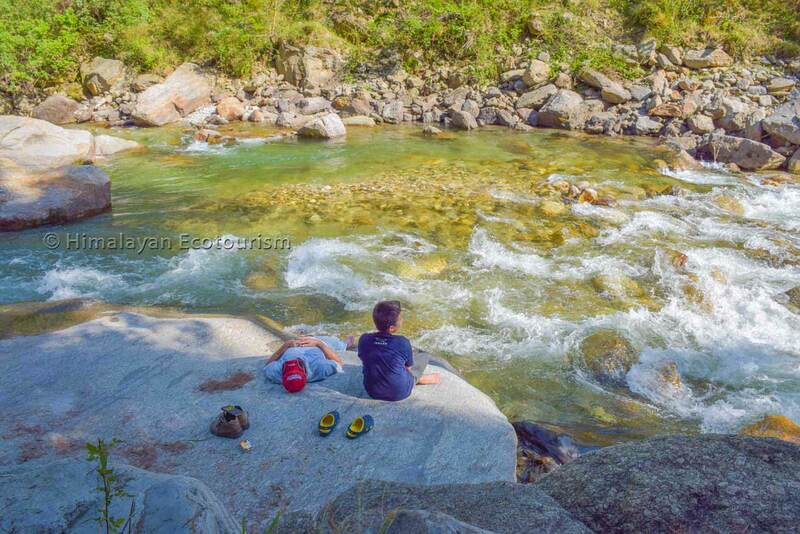 Alone in the untouched nature with a small river to keep you cool. The river there will fill you with wonder ! A very nice option if you come in October or November ! 45 minutes drive from Gushaini. The way to the campsite has no difficulties. Of course you need to be able to walk for 30 minutes on a path that is not flat... :-) It is accessible even for physically challenged persons with the help of our staff. Great view of the GHNP ! Crossing a traditional village before reaching. Cool air in the summer (altitude 2600 m). The meadow is very large. Nice forest around the meadow. It has become a bit popular, so you might not be the only campers. But you you surely find a lonely corner for you. Might be a bit cold because of bad weather or outside the best season. A large meadow with a great view of the GHNP and nice forest around. Good to refresh yourself at a higher altitude in a green environment. 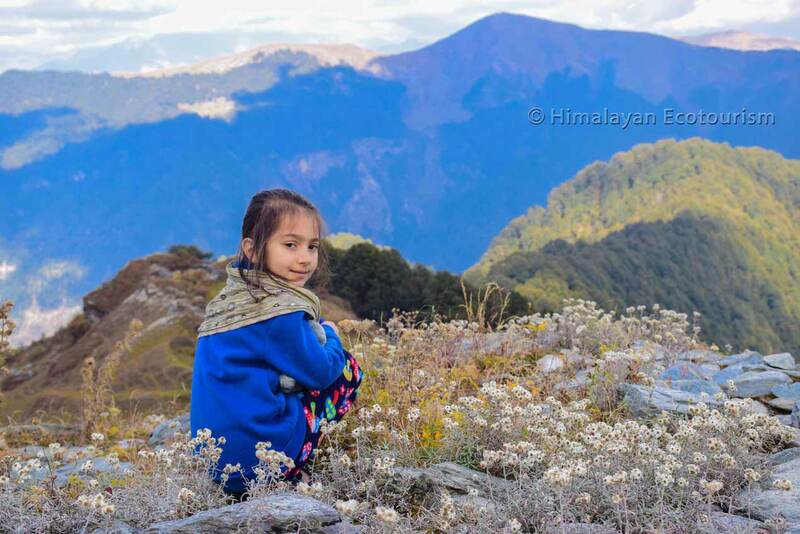 At around 2600 m height you definitely enjoy the cool air. Why don't you go for a forest walk in the evening ? The Sarchi village nearby and the Himalayas in the backdrop. One hour jeep drive from Banjar. The way to the campsite has no difficulties. It is accessible even for physically challenged persons with the help of our staff. Completely secluded and far from the tourism ! Cool air in the summer (altitude 2550 m). A small river with pools (to swim) just beside the campsite. No view of snow-capped mountains. A beautiful meadow in an unknown and secluded valley. Refreshing, very green, with a small river. 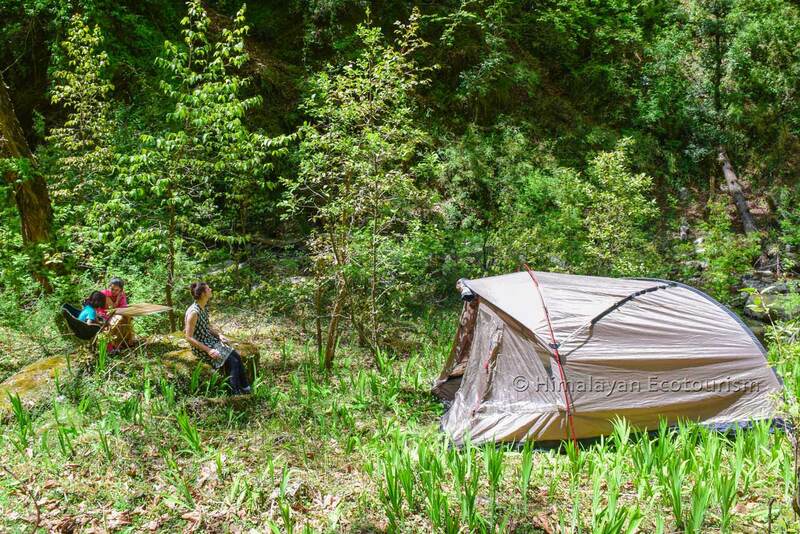 Ideal for a peaceful camping. Fresh, green and easy to reach. We make the kids and the parents so happy for being together in the wild ! Protected from the wind and with plenty of woods around you will enjoy the bonfire. We can virtually prepare anything you want at this place. 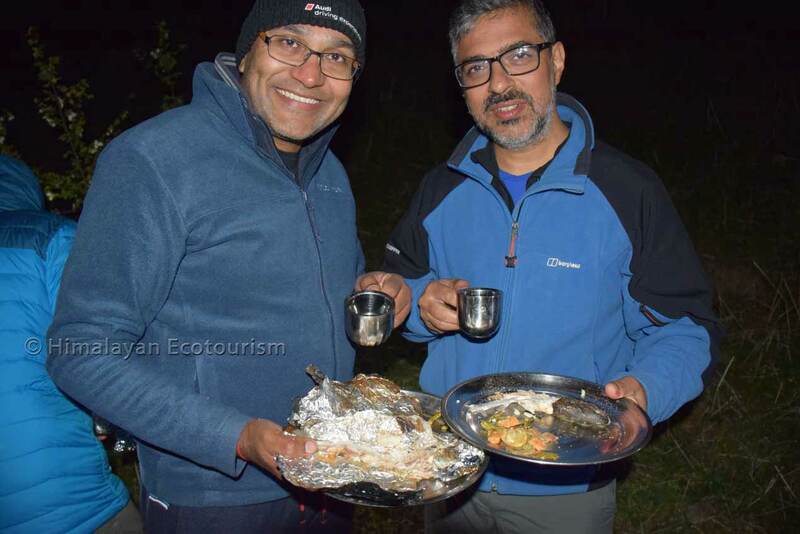 Here we are cooking trout fish and paneer on a BBQ. We will make you to enjoy this very special place. Almost anyone can reach this place. Excellent choice for firt-time campers. Do not hesitate coming with all your friends or colleagues, we can manage large groups. 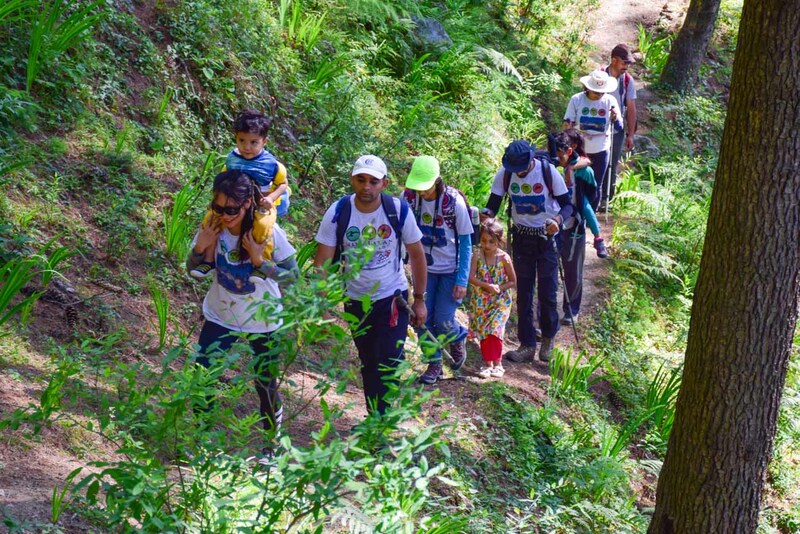 Gentle walk in an Himalayan forest to reach your camp in the wild. 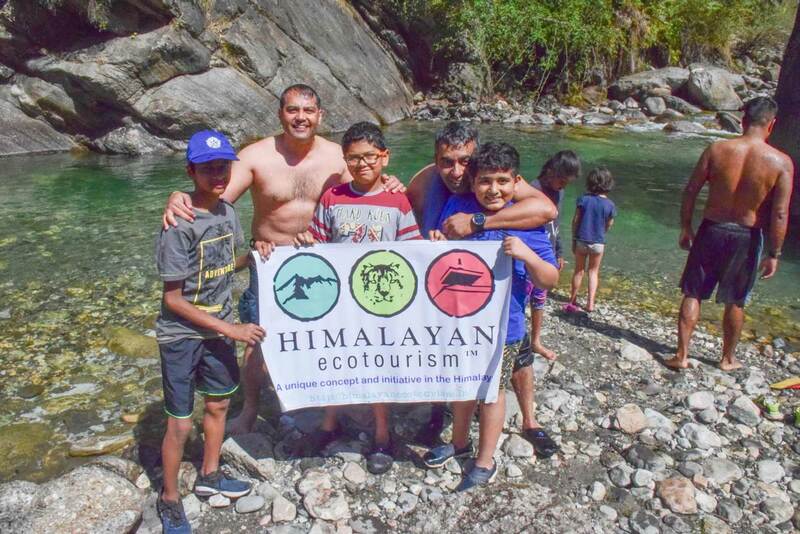 Let your children to discover and to learn from pristine nature ! 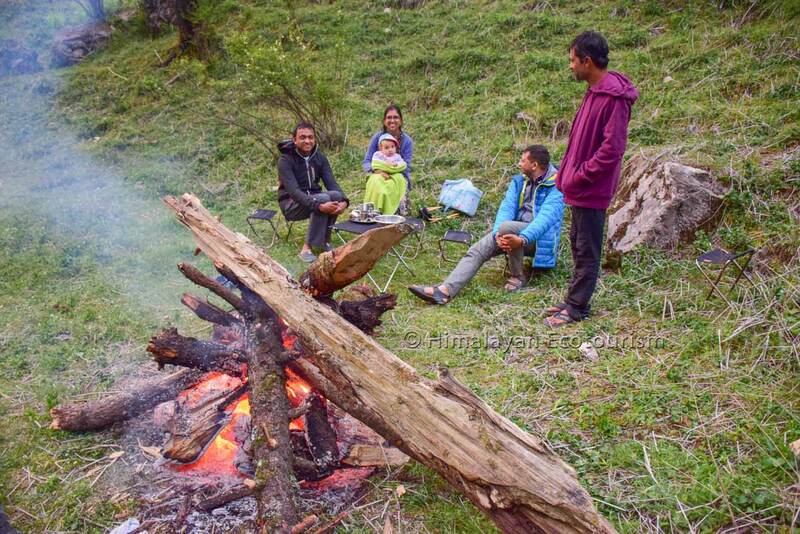 With Himalayan Ecotourism, camping in the wild doesn't mean having to cope with the elements. Ready for a meeting ? We know how to make you to forget your day-to-day life :-). Don't worry. With our staff and camping equipment you are safe ! 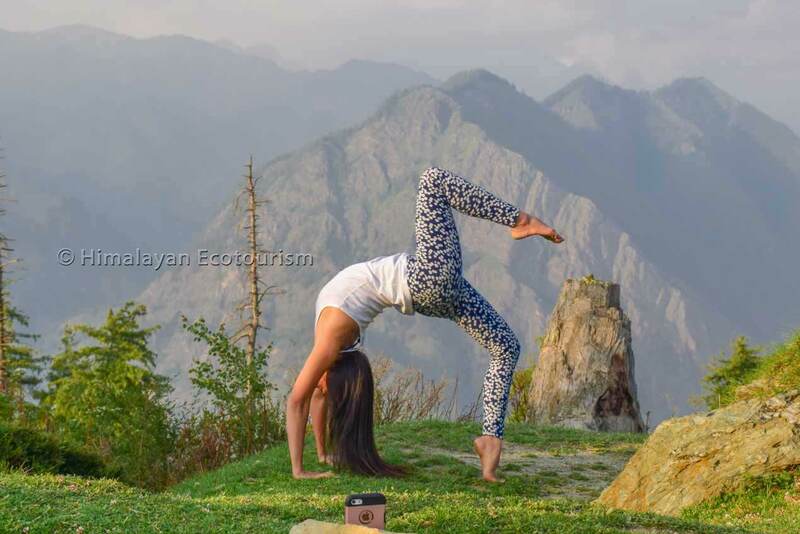 Yoga in the wild ! We can ask our Yoga instructor to be with you at the campsite. Explore the surrounding and find something good to eat and to share. 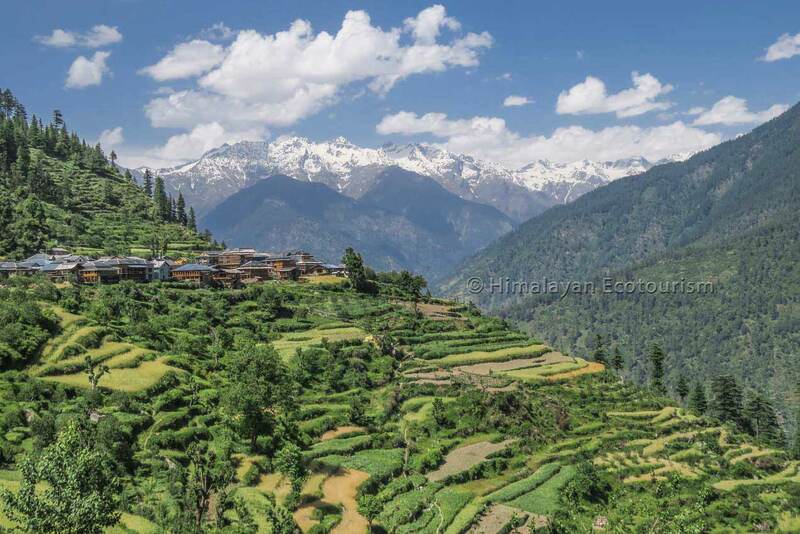 Meet the mighty Himalayas. Explore the Park wilderness. 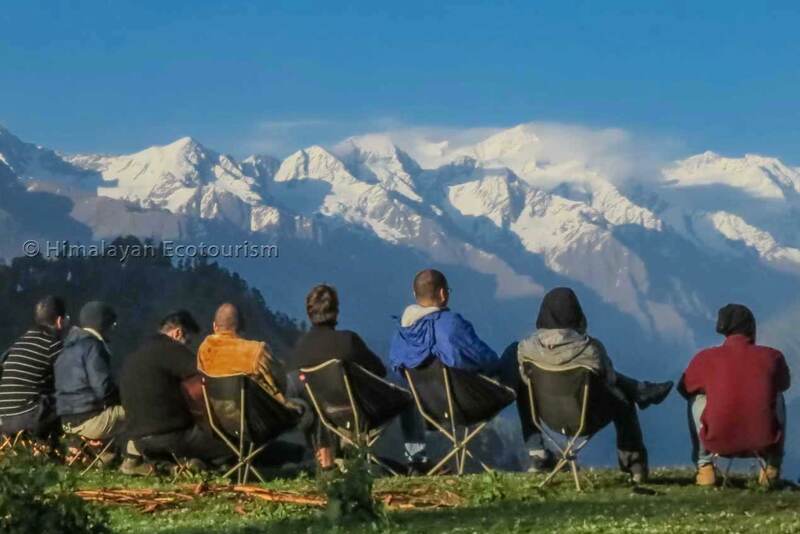 Enjoy the Himalayan nature in one day only. Visit our blog to know the real stories behind. 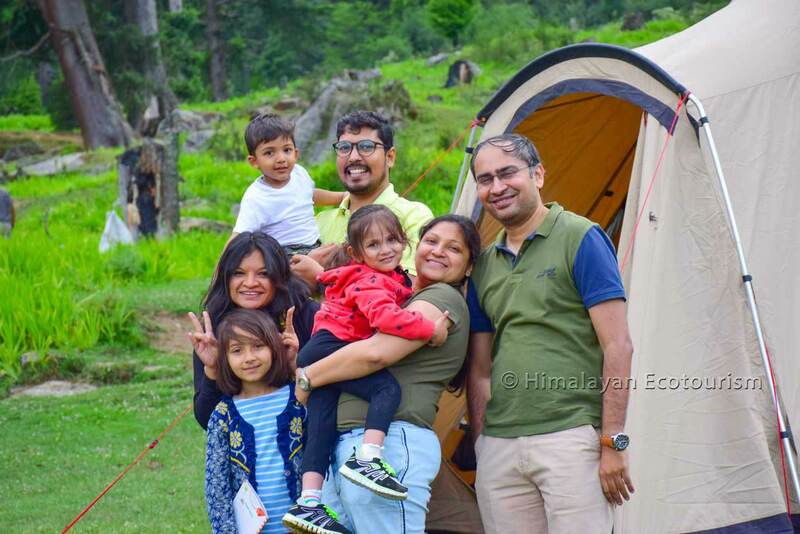 Indian Express Flames in the forest - Himalayan Ecotourism fighting forest fires Sanctuary Asia Mountain musings LiveMint Himalayas: How green is my valley TripAdvisor I recently visited GHNP with my family. 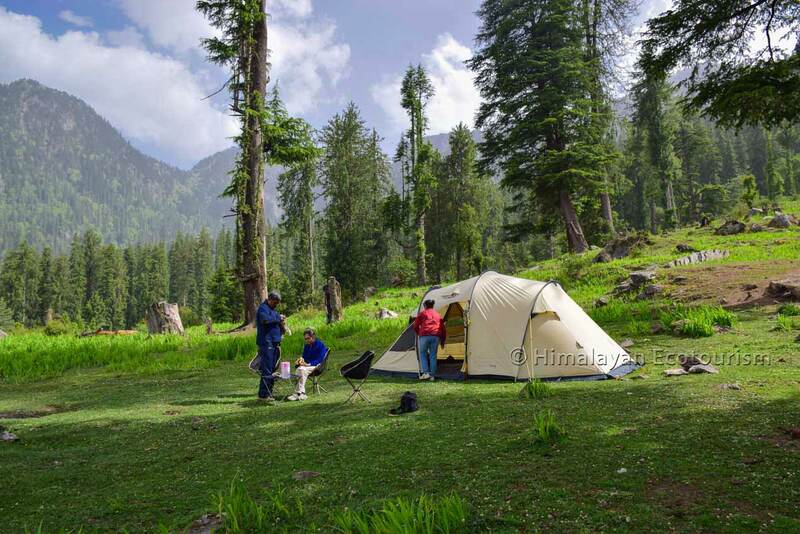 GHNP is pristine, serene and absolutely gorgeous. The best part is that it isn't crowded and touristy.